There's not much doubt in my mind that The Brewer's Plate food and beer pairing event is one of the shining gems in the Philly Beer Calendar each year. 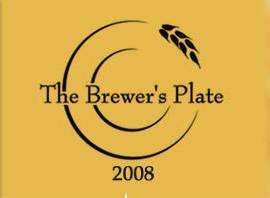 Following a twenty year history of the highly successful The Book and the Cook series in Philadelphia, The Brewer's Plate takes Garrett Oliver's passion and marries the wonderful local agriculture, talented chefs, and handcrafted beer. If there's any doubt that Philadelphia is a premier dining destination in this country, I'd suggest attending this event. It proves that Philadelphia has a fully-rounded restaurant scene to compliment its high-end dining establishments. I'd recalled an article from Stephen Beaumont a while ago, and I was happy to be able to track it down in his archives to share with you. In the fourth year running, the event showcases the best of food and beer and demonstrates the matrimonial merits of the pairing. Hosting the event at the Reading Terminal Market further enhances the event. During Philly Beer Week, the event will be held at the new and polished Constitution Center in the historic Independence Mall area; but, in the fall the event will return to its more natural roots at the also-historic Reading Terminal Market to give us a double-dose of The Brewer's Plate in 2008. I'll have more to say about the event as we get closer to PBW. For now, check out the list of local restaurants and brewers that will be on display at the event in March. Tickets are currently on sale over here. If you'd like to check out my reviews of the last two year's installments, check here for 2006 and here for 2007. I am really going to miss this event. There were just too many good food and beer options to try them all last year. I like that the Belgian Cafe is listed as well as Zot, in addition to all the other fine establishments.